A timeless classic football with timeless appeal. 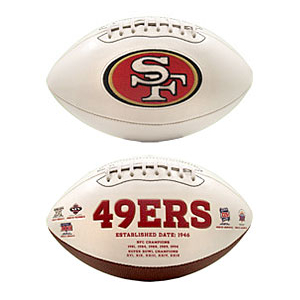 This football features an embroidered primary logo and embossed team history. Packaged with a permanent ink autograph pen makes this football perfect for autograph shows and game day events. This football has three white panels and one synthetic leather panel. This full size football is made by Fotoball.